From the Monica Mint (not affiliated with the US Mint). 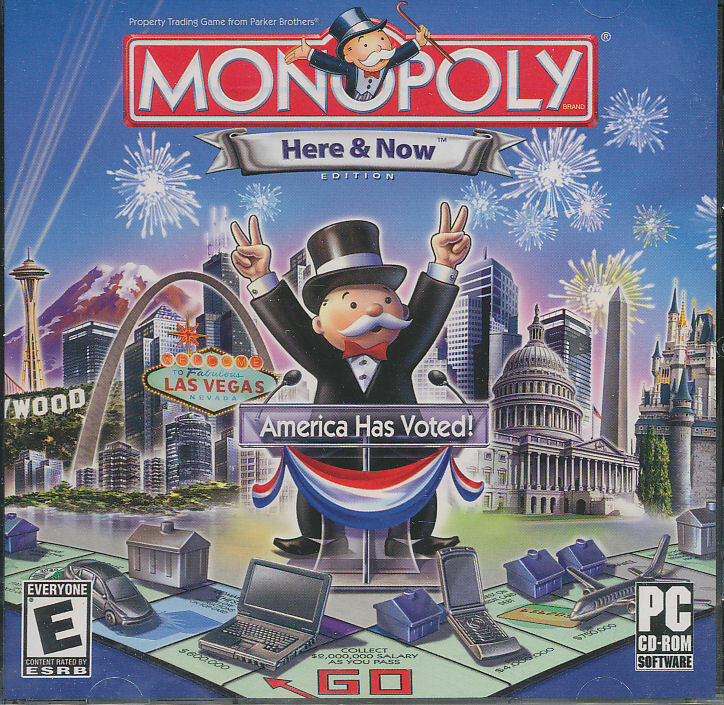 THIS IS NOVELTY FUNNY MONEY AND NOT INTENDED TO BE USED AS U.S. CURRENCY. 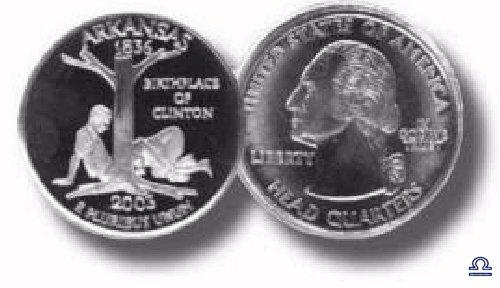 This is a PARODY of the Arkansas State Quarter due out in 2003. Struck over a real State Quarter. Flip it and it will land 'HEAD' side up every time! This item Pokes fun at a President that was in CLOSE QUARTERS with a few too many young women and the only man who has his own Penal Code. VERY WELL DONE, LOOKS LIKE A REAL QUARTER.